Visible from the air as you fly into Faro Airport, the Ria Formosa natural park is a labrynth of canals, islands, swamps and sandbanks. This wonderful nature park is a haven for migratory birds and has been voted one of the seven natural wonders of Portugal. Boat tours around the Ria Formosa waterways typically run for 3-4 hours in duration. One could very easily spend a day split between a boat tour and a few hours on one of the fabulous beaches on any of the three main islands, Ilha do Farol, Ilha Deserta or Ilha da Culatra. 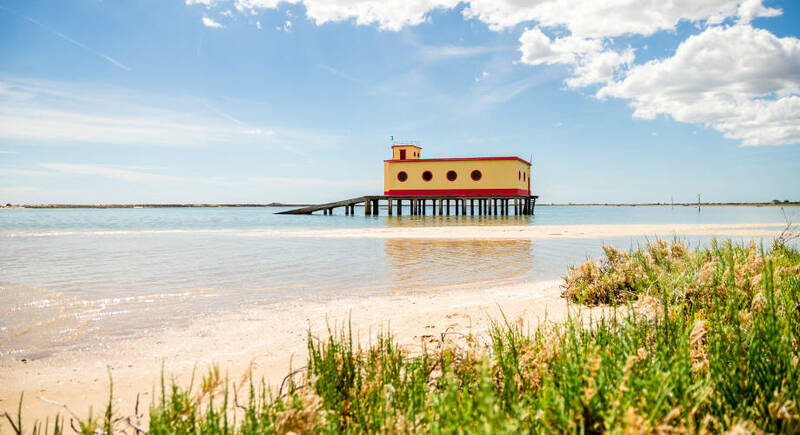 The National Park is on Faro’s doorstep so it should definitely be on your list of things to do while staying in Faro. Just an hour’s drive to the west of Faro is Lagos, one of the most popular towns in the Algarve. As well as beautiful beaches, the town of Lagos has a charming historic centre surrounded by ancient Moorish Walls, which overlooks a pretty estuary and harbour. 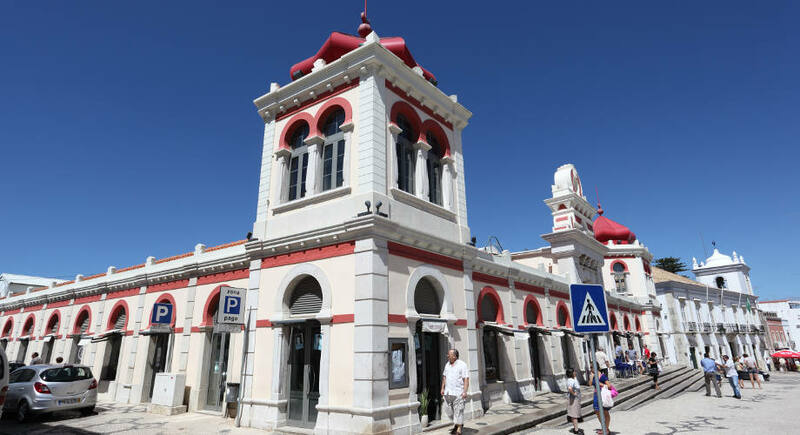 Fascinating buildings in the town include Santo Antonio church, the Mercado dos Escravos (the first slave market in Europe) and the 17th century Bandeira Fort. The town has a plethora of cafés restaurants and bars, as well as a buzzing nightlife. If you are driving, just south of Lagos is the Ponta da Piedade, a series of sandstone cliffs considered to be the finest natural feature of the western Algarve. There are some great sea arches, grottos and smugglers caves here, which can all be seen by taking a boat tour from Lagos marina. Families with children may enjoy a visit to the Parque Zoologicode Lagos, where you can see all manner of birds, mammals and reptiles. If you fancy a break from the beach, a day trip to Loule is a great idea. 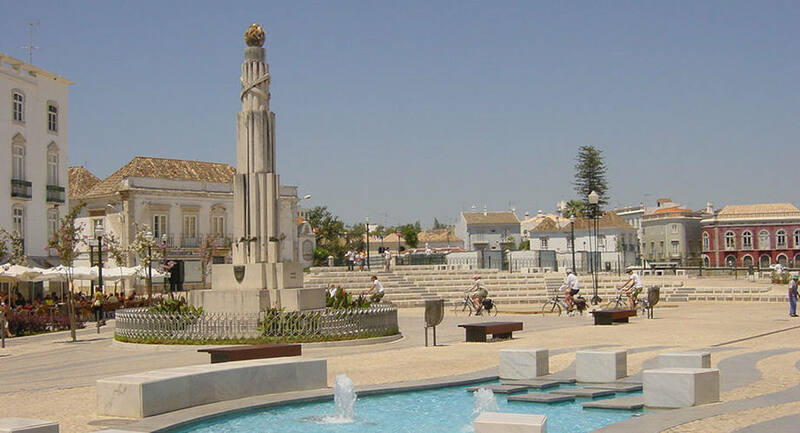 Loule is one of the most popular places to visit in the central Algarve region. This lively market town with a traditional Portuguese atmosphere is home to some interesting historic monuments, a Moorish inspired covered market (a popular Saturday event), a museum (Museu Municipal), a castle and the beautiful Conceição chapel. The town has a selection of excellent hotels and restaurants and lots of shops, pretty cobbled streets and tree-lined squares. Buses from Faro take about 40 minutes, which make this a perfect place for a day trip. Loule is quite compact and will take around half a day to wander around. For fitter tourists, a hike up to the Nossa Senhora da Piedade church is challenging but well worth the effort for the panoramic views. Just half an hour’s drive from Faro, the historic town of Tavira is well worth a visit. Tavira is 30 km east of Faro and is connected by both bus and rail services. The journey from Faro to Tavira by bus takes 1 hour. Extending along the banks of the Gilão River, Tavira is also known as the ‘Venice of the Algarve’ because of its waterways and renaissance churches. A joy to explore, Tavira is awash with historic buildings, Islamic-decorated doorways, brilliant azulejo tiling, charming plazas and pretty cobbled streets. 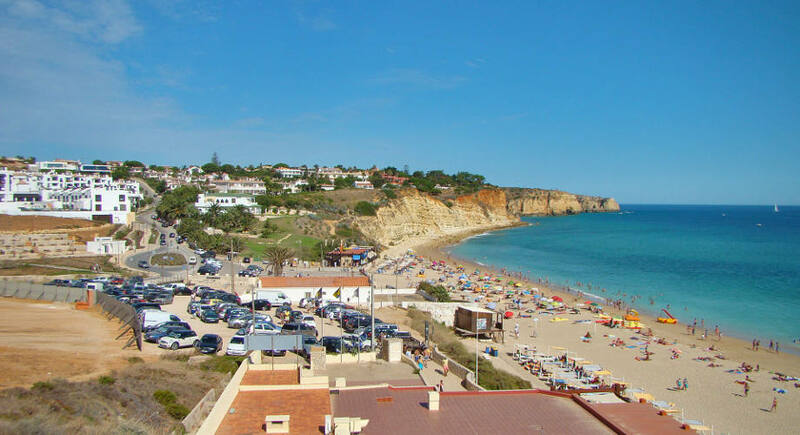 It is arguably the Algarve’s prettiest town. This ancient Moorish town is steeped in history with a castle, ancient city walls and many mosques that have been converted into churches. The old town is walkable, but you can hire a bike if you fancy going further afield. There are many hotels and some great restaurants. Seafood restaurants are especially prevalent. The pristine beaches of Ilha de Tavira are a short ferry ride away.